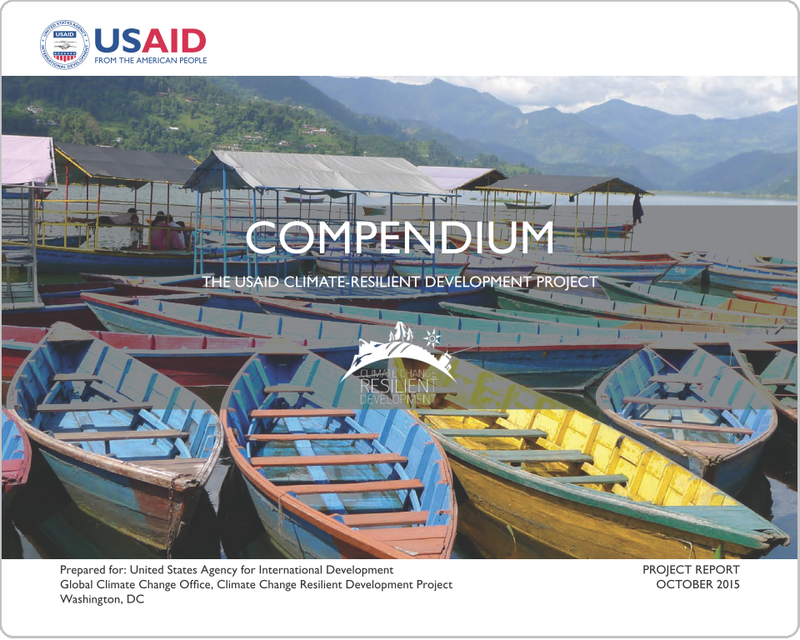 The USAID Climate Resiient Development Compendium includes cases and resources for implementing efficient and effective climate-resilient development projects. This USAID CCRD Compendium* has been prepared to describe CCRD activities, products, findings, and key accomplishments. It also provides links to connect USAID Bureaus and Missions and international practitioners to the large library of project resources, including tools, guidance, training materials, technical reports, and journal articles. In addition, the CCRD team provided some suggestions for future work to advance USAID’s development first approach to climate adaptation. Each section contains a box with the key terms and climate impacts that the CCRD program covered. This information provides a snapshot of the content and enables users to quickly search on a term of interest to find a relevant program. Internal links are provided to enable the reader to move among the compendium sections, as needed.